Go nuts and fruity for breakfast! Firstly I want to thank all my readers who loved the A powerful new breakfast routine! post; your feedback and comments were fab, and it was great to see that some of you had a go and even posted your smoothies on Instagram. Thank you. So for those of you who are keen to continue and looking for more healthy breakfast options, here’s an alternative to a smoothie. 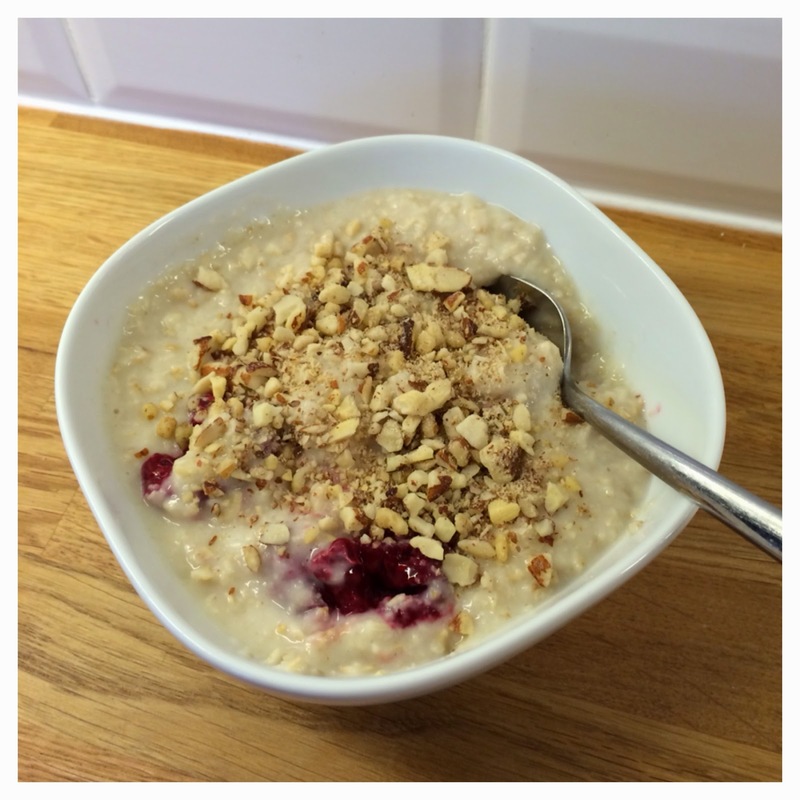 Instead of frozen raspberries, I’ve also used blueberries – this will turn your porridge purple, which I love!! Please continue to give me your feedback, I love it! Next Post It’s party season! !